A home needs a decoration that can perfectly fit to the style of the house and motif of the owner. The mood of a room is created by your chosen colors, style, textures and patterns. You need to establish a theme when decorating your home through an inspiration piece. Chosen color has a big part because color should always support and coordinate with the theme. Some home style have a loft type window which is hard to reach and requires smart choice of window cover. 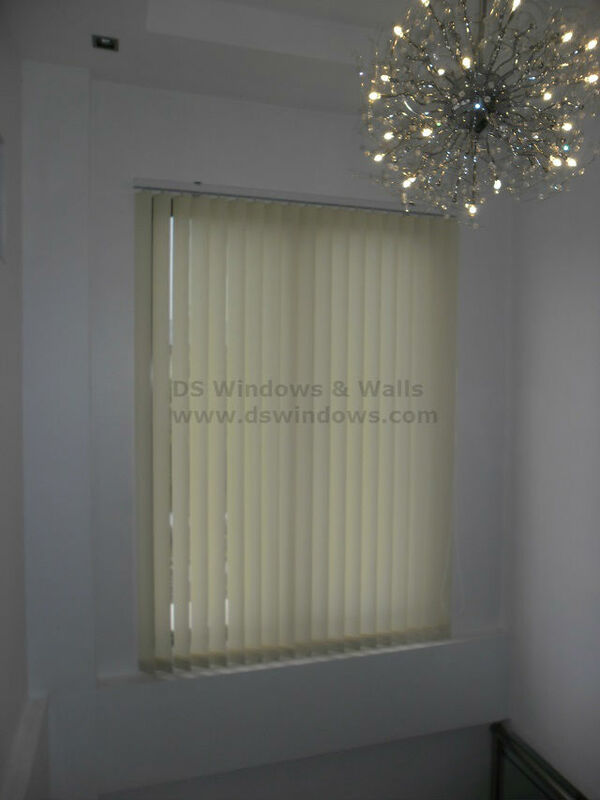 A window cover that is not heavy in weight and easy to clean and the smart choice for that is fabric vertical blinds. Fabric vertical blinds is one of the lightest in weight window cover in blinds industry and consist of different colors to choose from. 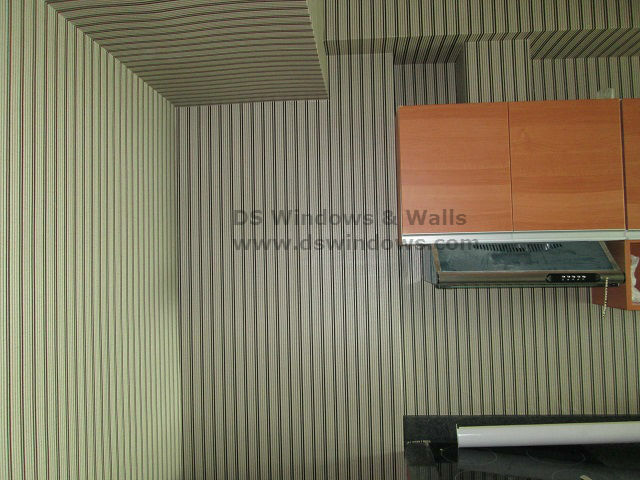 Vertical slats are very easy to control and custom-made size of fabric vertical blinds are available in DS Windows & Walls. 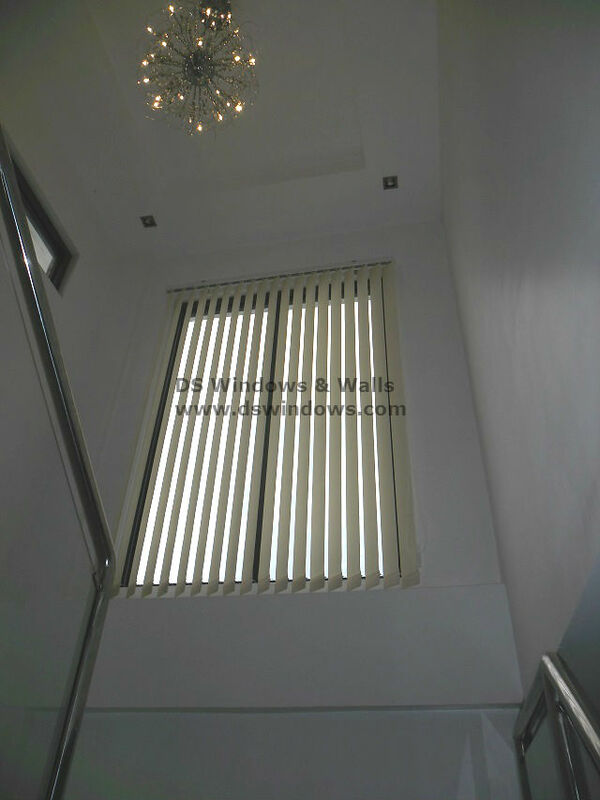 Fabric vertical blinds in loft type windows usually requires longer chain for easy and convenient operation. 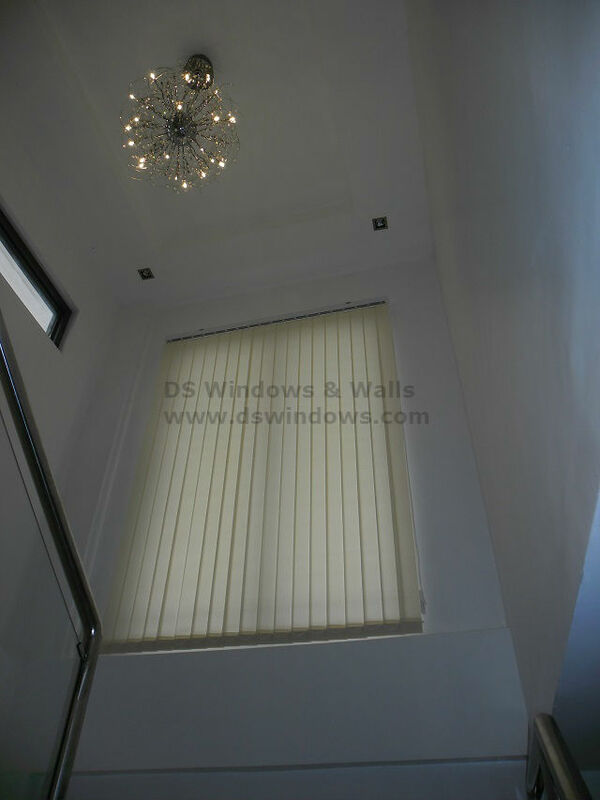 Our client in Nuvali, Laguna opted Fabric Vertical Blinds for their loft type stair window. They preferred beige color to coordinate safely for whatever wall color they will plan to have. In DS Windows and Walls, we offer free ocular visit to accurately measure your windows if you are within Metro Manila, otherwise, we will reimburse the transportation expenses of our staff. For further inquiries, you may call us at (02) 403-3262 / (02) 893-1373 / 0916-31-3909 or e-mail us at inquiry@dswindows.com. You can also visit our showrooms located at 4th Level Waltermart, Makati City, 3rd Level Robinsons Metro East, Pasig City and 2nd Level Pacific Mall, Lucena City. For Calabarzon area, you may contact Mr. Patrick Villapando at (Globe) 0917-583-0214 or (Sun) 0922-592-6111.